October was a fantastic celebration of the FareShare Woolworths relationship on many fronts. Marcus Godinho, FareShare CEO, notes that, “We collected more food from Woolworths than in any previous month – 75,521 kg all up. Significantly, this included 23,134kg of meat and 24,401 kg of vegetables which are the two most valuable ingredients for families in crisis. With additional collections from the Woolworths MeatCo site in Truganina having a very beneficial impact. Not surprisingly, this was reflected in our meal output with our Melbourne kitchen also experiencing a record-breaking month. Our chefs and volunteers cooked 132,499 nutritious meals, an incredible result for the increasing number of people experiencing hardship. As ever, we are very grateful for Woolworths’ contribution to this meaningful social impact." 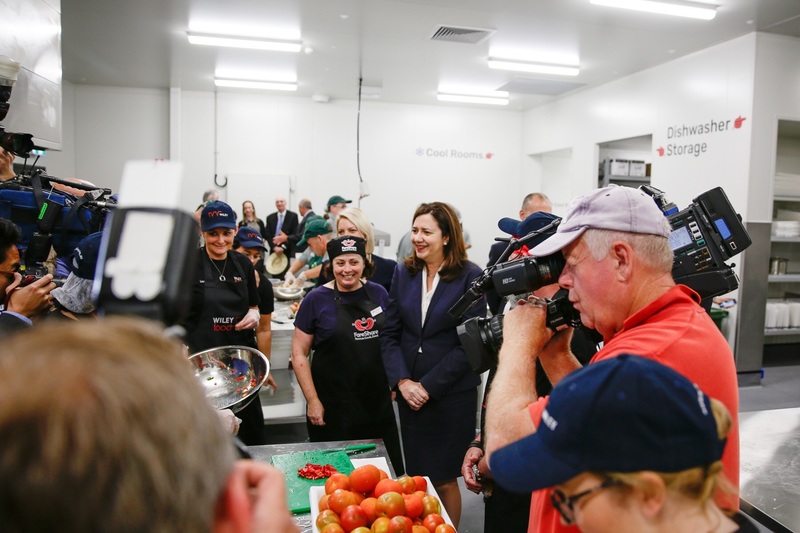 On October 9 FareShare launched their brand new Brisbane kitchen. The largest community kitchen in Australia, that is capable of producing 5,000,000 meals per year. Many of our Woolworths team members were thrilled to be in the thick of the action together with the Queensland Premier for the launch,and our teams look forward to becoming part of the volunteer backbone that will continue to grow this wonderful new kitchen and provide many meals for Australians in need.